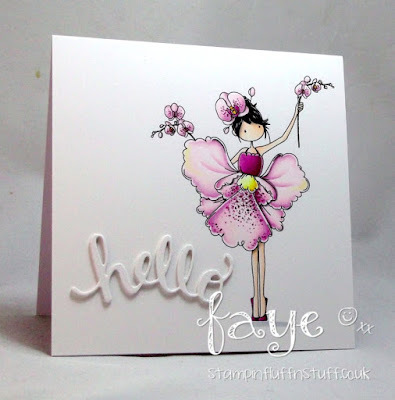 It's all happening over at Stamping Bella this week... New Release Sneaky Peeks. Squeeeeeeeee! Edna Loves Chocolate. 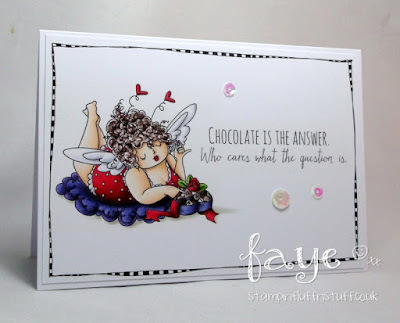 I can't tell you how much I love both Edna, and choklit, so, errrr, love this stamp!! Tiny Townie Garden Girl Orchid. How pretty is SHE? Just love her skirt. Heck, I just love her. Did you see Tiny Townie Garden Girl Lily of the Valley yesterday? She's beautiful. Anyway, there are sneak peeks due out every day this week, so, keep an eye out and tell your bank manager to take a holiday. This release hits the Stamping Bella Store on 16 January and UK Peeps, it will be at Dies to Die For not long after. Love them both ! Also the sentiment on your first card !